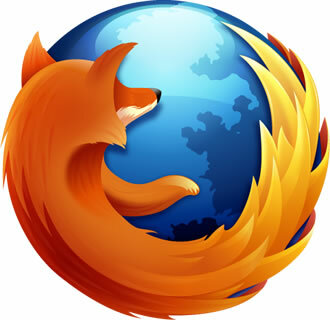 Mozilla has published the latest stable release of Firefox 19 for Windows, Mac, Linux, and Android. The update is rather short on new features, but it does include a built-in PDF viewer that will eliminate the need for third-party plugins such as Adobe’s Reader, which is often a source for security vulnerabilities. The PDF viewer is based on the Mozilla-supported HTML5 project PDF.js. The viewer itself can run on PCs, tablets and mobiles, although it was not included in the accompanying Firefox for Android update. Users only need to upgrade their Firefox browser and open a PDF to take advantage of it. Other changes include a fix for a couple of bugs that affected launch time, a new browser debugger tool for add-on and browser developers, an experimental remote web console for connecting to Firefox on Android or Firefox OS, and a handful of new CSS implementations and improvements. On the mobile side Firefox 19 for Android introduced theme support, additional ARMv6 support, and lowers the minimum requirements to a 600MHz processor and 512MB of RAM. The browser now runs on over 15 million devices, including the LG Optimus One, T-Mobile myTouch 3G slide, HTC Wildfire S and ZTE R750. The full change log for both releases have been republished below for your convenience. CHANGED: Canvas elements can export their content as an image blob using canvas.toBlob(). CHANGED: Startup performance improvements (bugs 715402 and 756313). DEVELOPER: Debugger now supports pausing on exceptions and hiding non-enumerable properties. DEVELOPER: Remote Web Console is available for connecting to Firefox on Android or Firefox OS (experimental, set devtools.debugger.remote-enabled to true). DEVELOPER: There is now a Browser Debugger available for add-on and browser developers (experimental, set devtools.chrome.enabled to true). DEVELOPER: Web Console CSS links now open in the Style Editor. HTML5: CSS @page is now supported. HTML5: CSS viewport-percentage length units implemented (vh, vw, vmin and vmax). HTML5: CSS text-transform now supports full-width. FIXED: Certain valid WebGL drawing operations are incorrectly rejected, leaving incomplete rendering in affected pages (825205). FIXED: Starting Firefox with -private flag incorrectly claims you are not in Private Browsing mode (802274). FIXED: Plugins stop rendering when the top half of the plugin is scrolled off the top of the page, in HiDPI mode (825734). NEW: Support for Traditional Chinese and Simplified Chinese localizations. CHANGED: Lowered minimum CPU requirement to 600MHz. FIXED: Holding backspace may delete text both in front of and behind the cursor (770291).